Pressure sores (also known as bed sores or pressure ulcers) describe damage to areas of skin and soft tissue. They result from a person remaining in a static position for a prolonged period of time. Pressure deprives the skin of oxygen and essential nutrients causing it to break down and form an ulcer. If left untreated, pressure sores can develop into deep open wounds which are highly painful and debilitating. Pressure sores are graded by severity from 1 to 4: 1) skin discolouration, 2) blistering, 3) tissue loss resulting in a deep open wound, 4) extensive damage to underlying tissue. Pressure sores are common in hospitals and nursing homes where there are large numbers of patients at high-risk of developing these injuries. The University of Salford reported that pressure sores affected around 700,000 people each year and cost the NHS alone £3.8m every day. It is largely possible to prevent the development of pressure sores and as such these figures are unacceptable. Sores are likely and occur most quickly in bony areas and other high pressure points on the body. People commonly at risk of pressure sores include the elderly, those recovering from an injury or operation, or wheelchair users. This is because they have limited mobility and remain sitting or lying in one position for long periods of time. Further risk factors for pressure sores include dehydration, aged skin (which is more susceptible to damage), being underweight, incontinence, or medical conditions which affect circulation. The healing process for an advanced (grade 3 or 4) pressure sore takes a particularly long time. This is because the tissue must heal from the inside out whilst being protected from infection and further damage-causing pressure. Complications which can arise from advanced pressure sores include cellulitis, blood poisoning, or bone and joint infections. Minimum preventative measures include regular movement or changing of positions at a minimum. If the patient is unable to do this themselves they will require help with this from a caregiver. 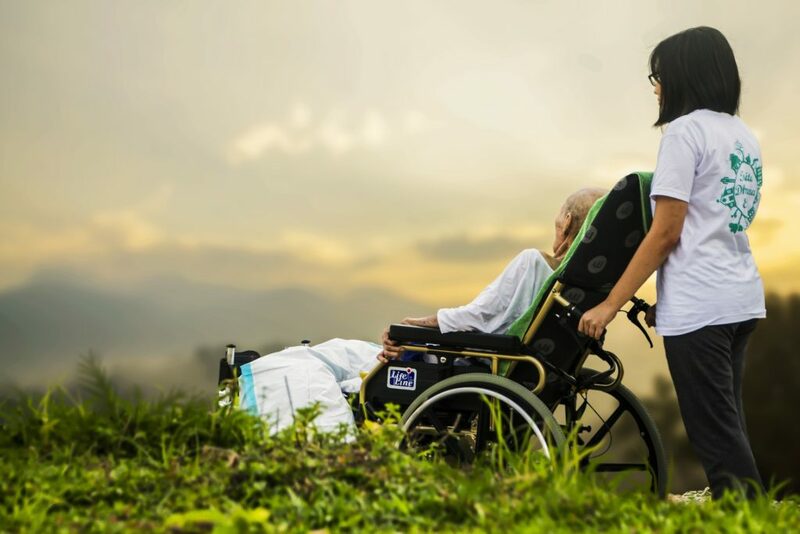 Furthermore, caregivers should regularly monitor vulnerable patients for early symptoms, and also provide a specialist mattress as a preventative measure. Sometimes, despite the best care, pressure sores are unavoidable and in these cases people must take great care to prevent infection and aid healing. However, research suggests that on average 80 and 95% of cases are avoidable with the right care. Therefore, if a caregiver does not fulfil these duties and a patient develops a pressure sore, they may be able to seek compensation.